I haven’t always been a runner. Heck, I haven’t always had this passion for fitness. Quite the contrary, I hated all things that required my heart rate to be raised. And of all these active activities, the one I hated the most was running. As I’ve talked with other recreational runners, I found that this is a common beginning scenario. When I was an elementary school aged kid, I didn’t mind running or fitness. PE (Physical Education) wasn’t my favorite class, but I didn’t dread it yet. At this age, I was a fairly decent athlete. I even won the President’s Physical Fitness award and placed fourth in my age group at my school’s Turkey Trot. I still have scars from all the times I fell down during the many, many games I played of tag and kickball—and I was proud of those scars! But as I grew older, I grew more insecure in myself and my athletic abilities. I had some coaches that just took all the fun out of sports and fitness, instead making them way overly competitive for my young age group. I got teased for having big legs (which I look back and see that I was just a muscular little girl). I was shy and I lacked self confidence in my athletic abilities, so it was hard for me to play sports where I could possibly draw negative attention to myself by making a mistake. My parents couldn’t afford to put any of us kids into formal sports programs. But one of the biggest contributors to my dislike of fitness was that my interests just developed in other areas completely unrelated to sports or being active. So, as I got older, I started spending my recesses inside instead of venturing back outdoors. I started dreading PE classes. I was terrified of the required mile run, so much so that I would end up walking all four laps since I didn’t believe I could actually run any of it. I avoided physical activities at church as much as I could, even though when I went I usually had a good time. And this continued clear up through college. I was even in Air Force ROTC, but still I had a hard time with physical training, just doing the minimum and barely passing my physical fitness test. Then, I attended my Air Force Tech School and met my now best friend Jenna. Jenna and I were roommates at tech school, and we stuck together during that time. We were the odd ducks out of our whole class, which is totally fine by me. Jenna was a personal trainer and fitness instructor, and since the town we lived in didn’t seem to offer too much in the way of entertainment, unless you are into the club scene, we started hitting the gym. Jenna wrote me up many different workout plans. They were geared toward developing my overall fitness and helping me to improve on the Air Force fitness test. At first, I had a hard time getting myself to the gym to complete these, but Jenna held me accountable and made sure I would actually do them. Soon enough, after consistent training, I started improving on my fitness test—by quite a bit! But that wasn’t the biggest, or the most important change. With this new passion for fitness now blossoming in my heart, I wanted to continue to push myself and find out just what I was capable of. One of my deepest desires as an adolescent and young adult was to be an athlete. I never imagined that I would ever get to that point, but I always secretly hoped. When I was honest with myself, I wasn’t content with sitting on the sidelines. I wanted to be part of the action. So, Jenna recommended I register for a local race. My first race was just the base’s free monthly 5K, but hey, it came with a free shirt and I got out of unit PT by doing it. 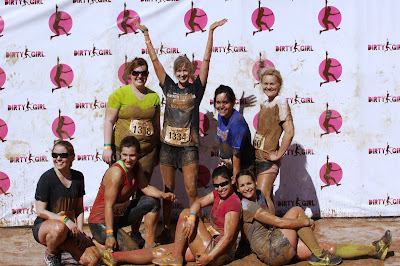 Completing that race, my first race, did something to me. It showed me that I could compete in an athletic event and finish! The feeling of crossing the finish line to the cheers of spectators and volunteers—even though I wasn’t anywhere close to winning—was empowering and elating! I felt like I had won that race, and in a way I did. 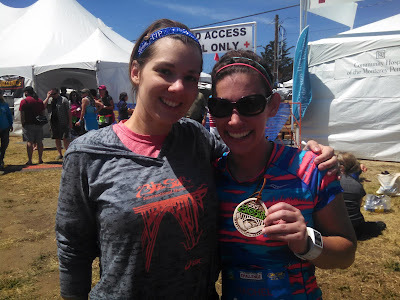 I put my all out there, I pushed myself farther in running than I ever had before, and I completed an athletic event. I experienced my first taste of what it means to be an athlete; a recreational athlete, but an athlete nonetheless. I had been bitten by the race bug and I was hooked. Needless to say, I’ve ran dozens and dozens of races of all distances from the mile to the marathon, from obstacle courses to ruck marches to road races. I’ve raced on the east coast to the west coast and many places in between. I have a rack so full of medals that I have to get creative when it comes to hanging them. I have even right out won a race, placed many times in my age group, and finished dead last at a race. As long as I try my best, put my all out there, and finish, I feel like a winner. Jenna came out to my first marathon to cheer me on. I love you Jenna! Running has shown me just what I’m capable of. 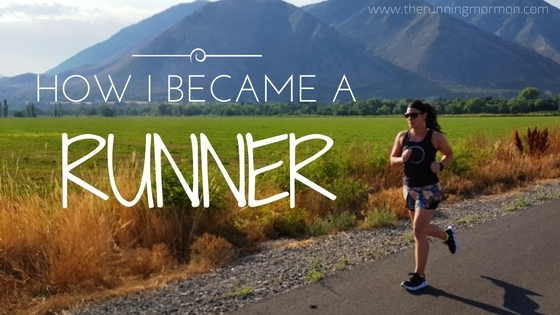 Running has helped me find my inner athlete and by doing so, has helped me find myself. Running keeps me fit and healthy. 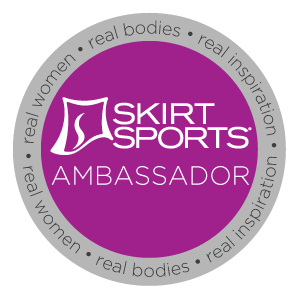 Running made me an ambassador for SkirtSports, an incredible fitness clothing company dedicated to helping women find their strength through activity. 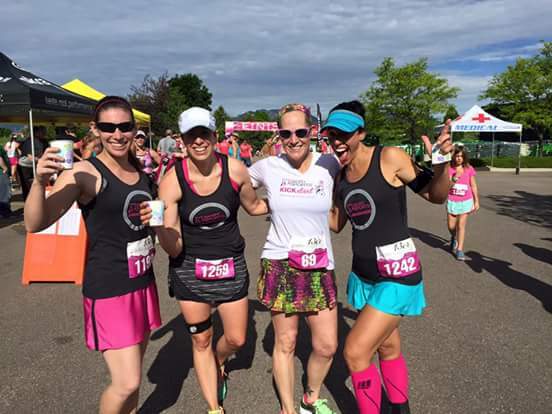 Running even saved my life when I was fighting a disease that nearly killed me. Running gave me the confidence I needed to get out of a bad situation and come back from it in spades. Running helped me find my testimony in the gospel and in Jesus Christ as I grew stronger and more confident in myself. Running helps me show my daughter that she can do hard things and be the best version of herself that she can be. Running changed my life for the better. And all this happened because a great friend cared enough about me to motivate me to find my strong. So that’s it, that’s how I became a runner. That’s how I found my passion for fitness. It was really just two things that led to an initial change of heart in regard to my attitude toward fitness: accountability and consistency. Having Jenna hold me accountable to do my workouts consistently was enough to get me to the point where I held myself accountable to do my workouts consistently. And that consistency developed within me a desire and a passion to be fit and active. 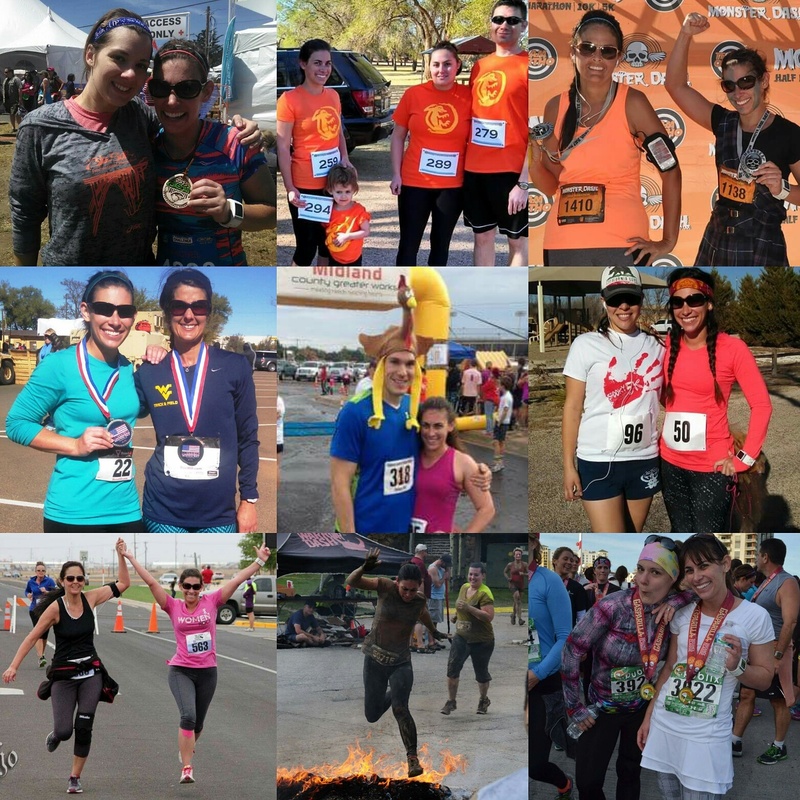 Through the years, so many of my good friends have started out as running buddies. These friends kept me motivated during times when I just didn’t feel like going for a run or doing anything in regards to being healthy. Some of my friends have cheered me on during training, cheered me on via social media, and cheered me on at the finish line. I want to give each one of them a shout out and a thank you for their love and support: Kathryn, Sandee, Erika, Molly, Ashley, Erica, Maria, Kelly, Kelli, Carol, Shelly, Cammie, Keri, Courtney, and all my Skirt Sports sisters. My Dad, Mom, daughter, brothers, and cousins have also been a great support. And, of course, my most incredible, wonderful husband Alex. He is always there for me, is always encouraging me, and is so supportive of me in everything that is good. I love all of you. 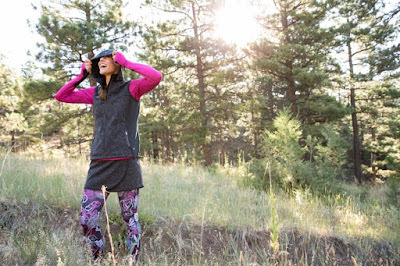 The best-fitting workout clothing for women who are perfect just as we are. All shapes, all sizes, all ages, all levels welcome. Love yourself! Click here to shop Skirt Sports and use code TRM20 for 20% off your order!